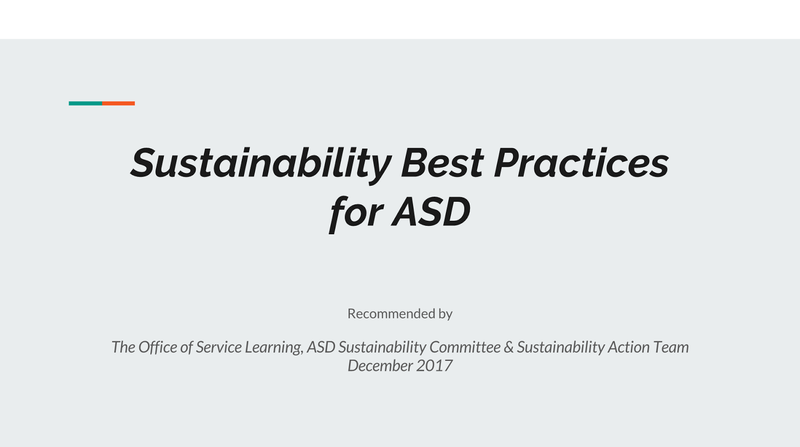 In December 2017 the launch of ASD "best practices" for sustainability were introduced. 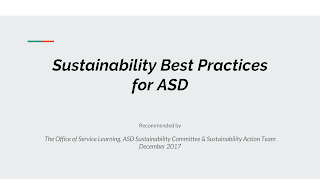 A joint initiative by the Office of Service Learning, the Sustainability Action Team and the Sustainability Committee, the best practices serve as expected behaviors with regard to ASD related events and initiatives. The information presented in the slides above was shared with the parent organizations the the administrative staff community as well as members of the student community. 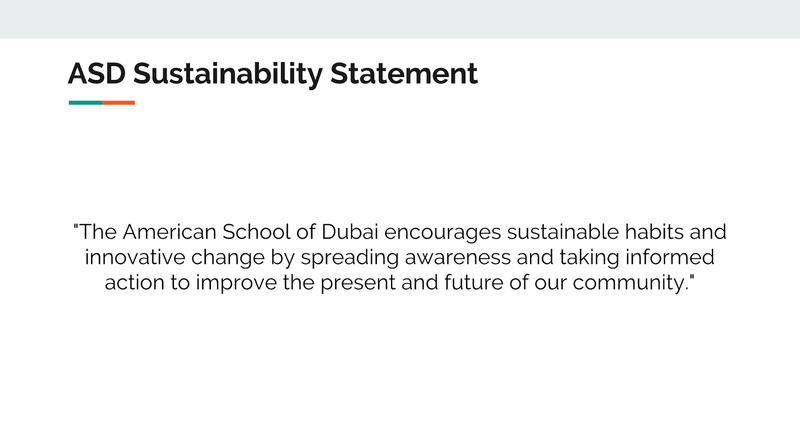 The thought behind the move is that sustainability has come of age at ASD. 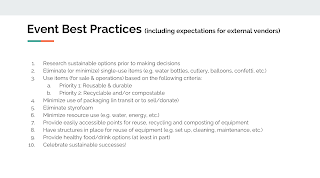 No longer are sustainable practices considered "optional" and in our quest to be the best school we can possibly be, it is also necessary to become an example for our community and the world at large. 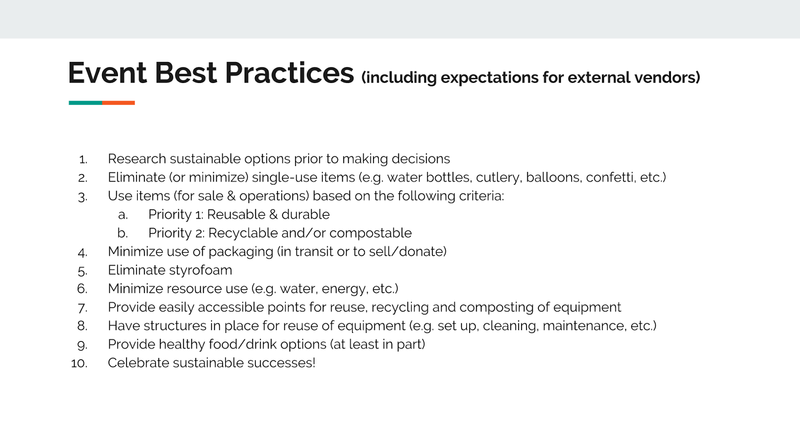 The best practices are intended to minimize our use of resources and to focus on the elimination of waste in appropriate ways. Perhaps more important than the best practices, are the conversations that we invite everyone to have with the families, children and colleagues. 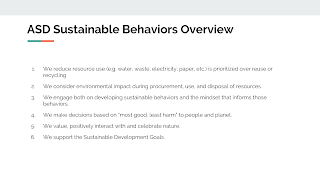 Whether in the classrooms, the offices, the hallways or our homes, the impact of our collective efforts is great if we consider how our actions affect the world and act accordingly. 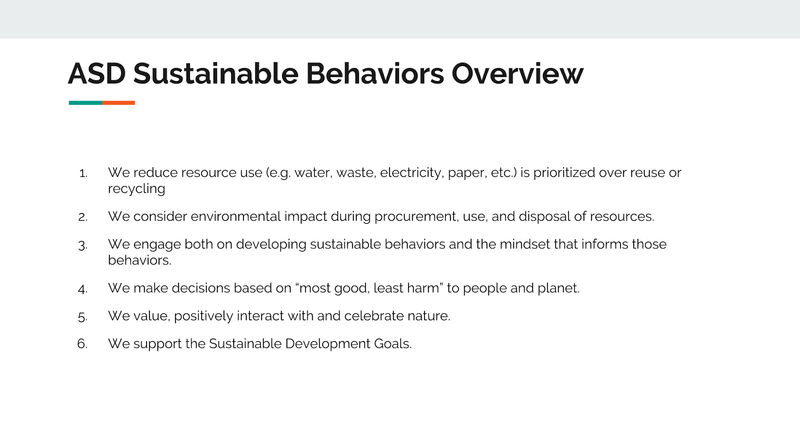 In addition to these recommendations, the Sustainability Action Team has initiated conversations to support membership in the Green Schools Alliance, an international collaborative of schools aimed at becoming more "green". It is hoped, of course, that international collaboration will make our impact even greater. 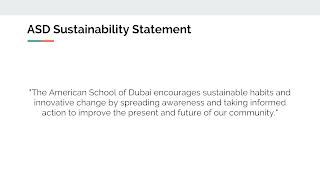 For ongoing information related to sustainability at ASD, feel free to visit the "GO" page here.